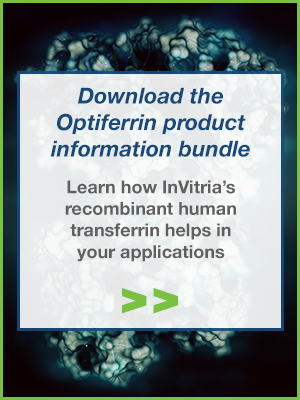 Optiferrin is recombinant human transferrin that is completely blood-free. Optiferrin’s performance is equivalent to human holo transferrin in cell culture and offers significant regulatory advantages due to its safety and consistency. Optiferrin is suitable for a broad range of cell types that include stem, primary, and bioproduction cells.